For those of you who wants to understand the basics of SAP Cloud Platform, I would recommend reading the overview here. One of the many features that SAP Cloud Platform offers is the runtime-containers. One of the capabilities that many would want is to enjoy full control over the virtualized hardware resource and that is where SAP Cloud Platform Virtual Machine in Neo environment contributes. 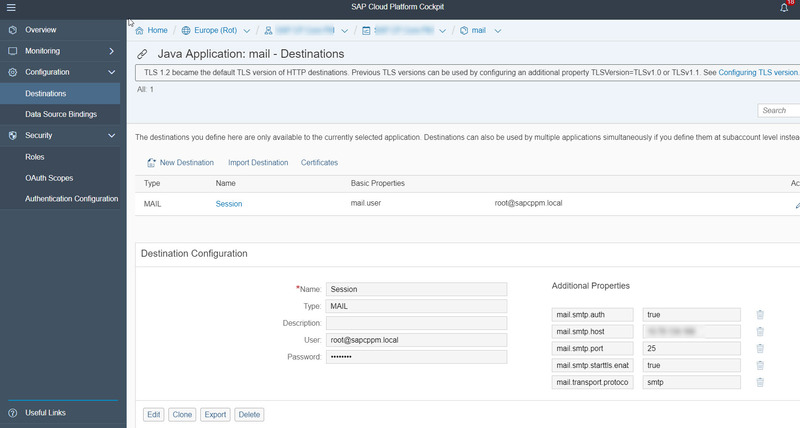 As mentioned above, one of the use cases of having the virtual machine on SAP Cloud Platform is to set up an SMTP server in order to allow an application running on the PaaS layer to trigger a mail to the recipients based on certain conditions. 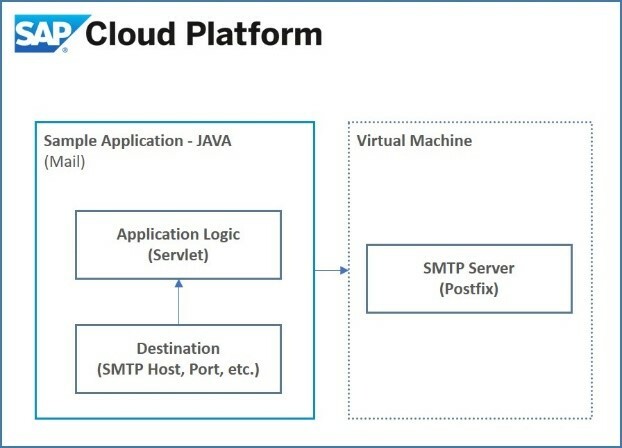 This blogs talks about one such application (typically JAVA) running on SAP Cloud Platform Neo environment that calls the SMTP server that is set up on the virtual machine on SAP CP. 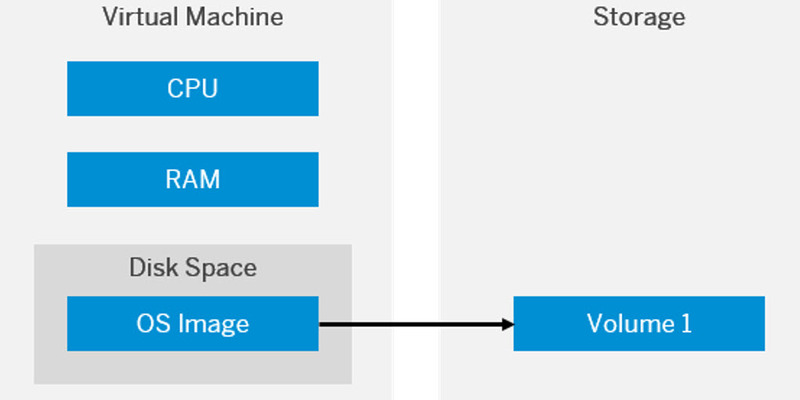 The blog explains how to create an instance of Virtual Machine on SAP Cloud Platform. The final part of the blog also explains the steps to access the virtual instance from local machine through the ssh tunnels created. There is also an alternate way to access virtual machine through service channels. The details and procedures can be found here. A Virtual Machine instance on SAP Cloud Platform. I have named it ‘mailer’. SAP Cloud Connector setup to access the virtual machine shown above. 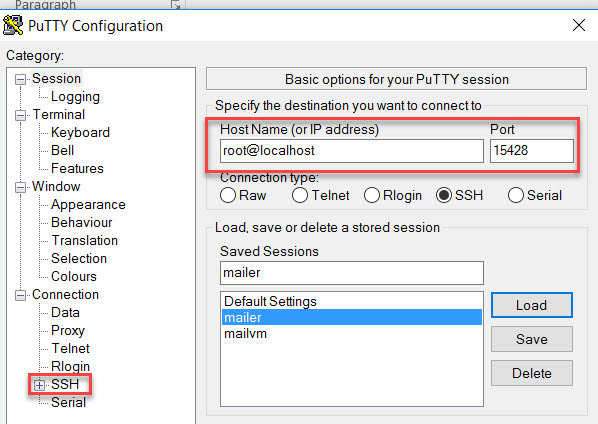 We will use postfix (just as an example) to create the SMTP server. Ideally, no other mail server should be up and running. Check if “sendmail” service is active and running. If so, use the command “service sendmail stop” to stop the service. It is fine even if it says there is no such service. or with the latest version available now. Goto line number 22 (by pressing ‘Esc’ followed by “:22”). Uncomment the lines 22 – 32 (These were the lines for the version of postfix we installed). These are necessary to ensure postfix trusts the communications from the set of network IP addresses you will be mentioning in the main.cf and to defer the calls from any other network. Save the file and exit the editor (by pressing ‘Esc’ followed by “:wq”). Open the file main.cf using the vi editor (“vi /etc/postfix/main.cf”). Ensure to do the following changes/additions. 268 mynetworks = 168.100.189.0/28, 127.0.0.0/8, 155.56.128.0/17, 10.78.134.169, 10.0.0.0/8, 10.10.1.56 This includes the IP of the VM. You can also mention the whole of local IPs as mentioned here. You can also find it from ifconfig command. This also includes the IP range of SAP Cloud Platform – Refer. After the aforementioned changes are done, save the file (by pressing ‘Esc’ followed by “:wq”). The next step is to edit the hostfile, do so by entering the command “vi /etc/hosts”. ## Name: SMTP with Postfix ## Description: Firewall Configuration file for postfix # space separated list of allowed TCP ports TCP="25 465 587" # space separated list of allowed UDP ports UDP="" …. Execute these in the VM shell. replace the email id with the mail id of your choice. It would prompt for the subject, enter a sample subject and press enter to provide the body of the mail. Once completed, press “.” Followed by ‘Enter’ to send the mail. If you don’t get a mail, verify the previous steps and restart postfix. You would have got a mail from root (in my case – root root@sapcppm.local) based on the domain you have specified. 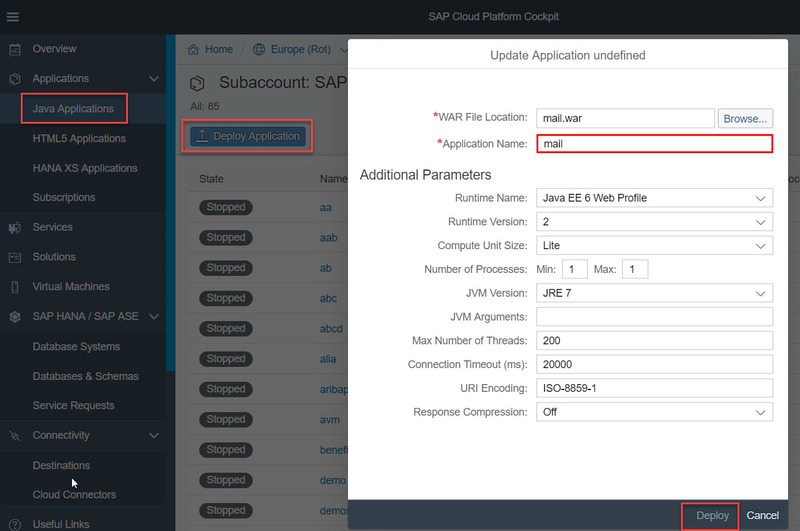 Now that we have the SMTP server setup, let’s try to communicate with the SMTP server from a JAVA application that is deployed on SAP Cloud Platform. Change the properties in the pom.xml file to point to the VM instance that you created. Replace “<<VM_FLoating_IP>>” with the floating IP of the Virtual Machine that can be found in the SAP Cloud Platform Cockpit under the VM overview. Navigate to the Session file and replace the floating IP. This is the file we will use to create the destination in the application. Now, build the application using Maven (Right click on the application in Eclipse and click Run as -> Goals – clean install). You will find the war file generated under target folder which we will use to deploy the application on SAP Cloud Platform. Once the application is deployed, don’t start it yet. There are a couple more important steps to be done before the application is runnable. We will create the destination using the Neo SDK (setting up Neo SDK) where the SMTP details can be configured. This connectivity service is used by the application to send the mail details to the SMTP server on the VM. We will use the put-destination command on Neo SDK (Syntax) to create the destination in the JAVA application. The next step is to create security rules for the VM to allow the JAVA application to communicate to the VM through the ports. We will use the Neo SDK command for this (Syntax). We will open up the ports 25 and 587 – You can use either of them. Post the execution of the command, you can find these rules in the SAP Cloud Platform cockpit. Your application is now ready! Navigate to the JAVA application overview and start the application. Once the application is started, you will get the URL under Application URLs. Click on the same. In the form that opens up, just enter the From address as “root@<<domainname>>” and your email address and a sample subject and mail body and click on ‘Send Mail’.